"I love you my baby boo. . ." ". . . Don't call me that. . ." "Ahan, so what should I now call you?" "Whatever you like but not that name used in all those worldly relationships. . ."
It would make more sense if Jerry and I was taking a walk on the beach right now. I thought to myself. We took a walk down the street. And I do not exactly enjoy walking with Jerry on a busy road. The noise on the streets which included cars hooting, people shouting and all that, distracts me from savouring the moment. "So did you miss me?" Jerry asked. I was walking right next him, but I was lost in my own thoughts. I can't remember what I was thinking about, maybe it was something the two girls who were walking behind us had mentioned. For a moment, it appeared like I snubbed him. "I see you don't like walking and talking." he said. I sensed a bit of anger in his tone. "Oh, I'm sorry. I'm just not in the mood." I lied. "I know you. I get it. You'd prefer we sit down to face each other while we talk." "Hmm. . ." I thought so too. "I'm sorry." I quickly apologized. "I love you my baby boo" I said, with a sound of laughter in my voice. "I don't really like that name. Don't call me that dear." "Ahan, so what should I now call you?" "Whatever you like but not that name used in all those ungodly relationships. We are not like them. We are different. " You are right. I don't like it too. That was the first and last time I ever called him Baby boo. Jerry loves it when I address him with sincere, warm, and lovely names. Now, these are the names I call him - My magic. My heart. My love. My hero. My king. Yeah. I also like it when he does same to me. I blush when he says I am - His wonder. His baby. His love. His world. His queen. Each of these names mean a lot to our relationship. Jerry and I are as real as we can ever be. Everything happens so naturally. Jerreasonable no longer exists. He's gone. 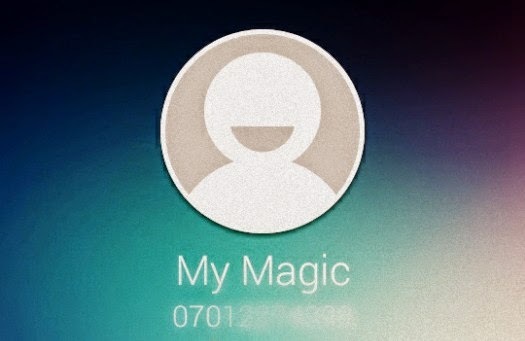 But I have 'My Magic' here now. Stop tripping. Lol. So what do you call that special person? As I see 'goodbye jerreasonable' my mind cut. #sighs# I see the love is still going strong. Keep it going! Hmmmm........ nice names! It all depends with what is in a name, I can even call him a mumu loverbird and it makes sense,, lol. ,so I find as many names as possible and call him,, mark you he doesn't like to be called a baby too!!! I still haven't figure out why. I think I will ask him today! Interesting. I like "jerreasonable" oooo. hahaha.... once in a while you should call him that, he'll laugh when he's angry at you. Guy's secret!!! I call my gf a witch. lol. Lmho! Mumu?? That has to said playfully, if not...Jerry will give me some sermons. I think 'baby' is kinda cool. but the 'boo' isn't. Lol. Nice story. I've been reading all the previous chapters. Good one. I'm in love with your pet names MAGIC AND WONDER. Cute! My husband and I have a lot of names we call each other. Honey,butter blossom sugar,darling,babe,baby, and sweet heart. There are so many but those are the ones off the top of my head. 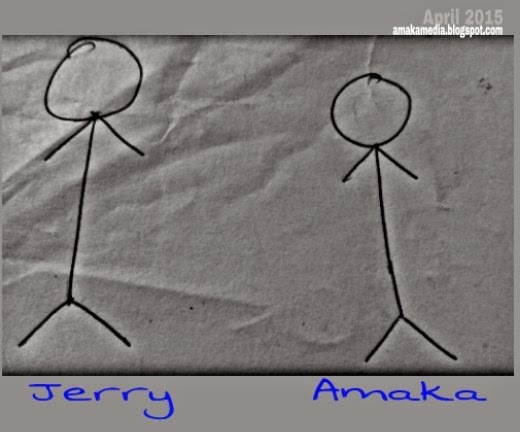 Amaka, all these names for Mr. Jerry... hahaha.... you can love ooo. As for me, I call him Babe or Honey.. unless I'm ticked off.. then I call him by his NAME! Thanks for letting us know what you use as pet names. lol. I will borrow some when I find myself a man. Pls what is the meaning of the word "boo"? Lolz. You are like me. Hahaha. This love is real mehn. Carry go babe. wow...dont I love every inch of this? Meself go love oo. Uhhhh Nice....I would like to read Part 7 of this..Howdy mamacita! Amakaaaaaaaaa reeling out truths in a fab way. Mehn, that word is complicated. A comedian once said it's derived from a Yoruba word; "oluriBOOruku". Lol. Okay so that brings me to my question. What is worldly about the word boo? Fun! How Many Bible Verses Can You Find?